The call for abstracts is now open for Waste 2015, the Coffs Harbour Waste Conference, set for 2015. The Coffs Harbour Waste Conference is the leading conference for the waste management industry in Australia and is the only conference endorsed by the Waste Management Association of Australia. Held annually, the conference attracts over 450 delegates, 45 exhibitors, and 80 presenters, both national and international. It is targeted at anyone who works in or has an interest in waste management issues, and is particularly relevant to local government. 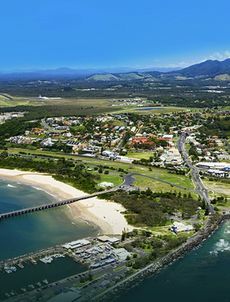 In 2015, the conference will be held at Opal Cove Resort in Coffs Harbour from 5-7 May. Visit www.waste2015.impactenviro.com.au, phone 02 6583 8118 or email waste2015@impactenviro.com.au.